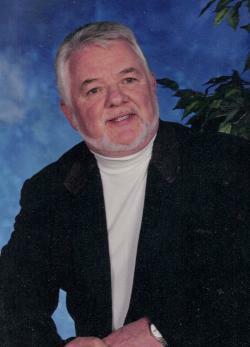 FOUGÈRE, Aloysius Berard "Al" - Age 75, died suddenly at his home in Port Hawkesbury on Friday, April 12, 2019. Al was the son of the late Edmund and Imelda (Corbett) Fougère. He is survived by his partner, Dennis MacDonald; sisters, Isabel, Halifax; Bernadette (Lloyd) MacDonald, Port Hawkesbury; brother, Ronnie (Anne-Marie), Truro. He leaves behind several nieces and nephews and grand nieces and nephews and will be missed by his beloved cat, Beau. Memorial donations in Al’s memory may be made to Strait Richmond Palliative Care Society, c/o Strait Richmond Hospital, 138 Hospital Rd., Evanston, NS B0E 1J0.